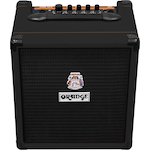 A huge range of Bass amplifiers are available from light and portable practice amp combos to thunderous valve amp heads, quads, and even 8 x 10 cabinets. 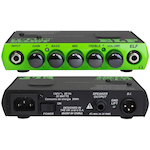 For home practice, rehearsal room, stage, or recording studio, Ibanez, Hughes and Kettner, Hiwatt, and Ashton cover all bass amplifier requirements for all situations. Musicworks has you covered for that bottom end whatever style of sound you need, jazz, pop, funk, fusion, blues, classic rock, or metal.